This residency was the initial step towards making rockfall sculptures on a monumental scale. 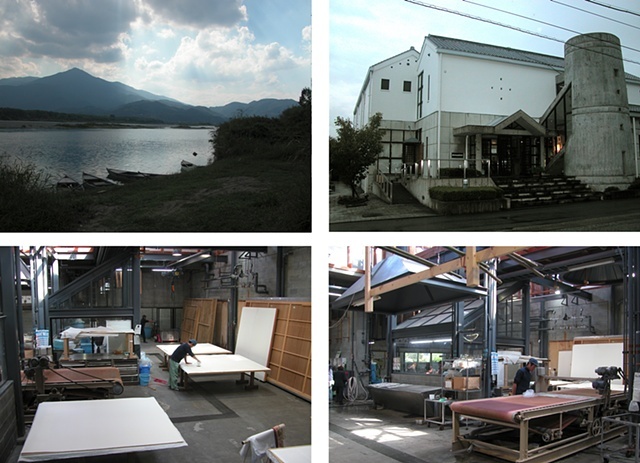 At the Awagami Paper Factory’s Hall of Awa Japanese Handmade Paper I experimented with papermaking to accomplish three objectives: First, I worked to create paper specifically engineered to allow me to increase the scale of the paper forms. Second, I experimented to create unique stone-like surface textures only possible through the papermaking process. Third, I aimed to learn the particulars of the Japanese handmade papermaking processes with the goal of teaching a papermaking class in the printmaking area of the University of Kansas Visual Art Department.